TV Streamers – These devices are the perfect choice for the movie lovers in your life. They transmit sound directly through one’s hearing aids (making them wireless headphones!) with improved sound and clarity. Users can also personally adjust the sound levels to their liking without affecting the overall television volume. Closed captions are no longer needed with a TV streamer! Phone Clips – Hearing aids can connect directly with phone clips like Resound’s Phone Clip+, which acts as a multi-functioning device that lets you make hands-free phone calls, stream music from your phone or MP3 player, and adjust your aids’ sound levels with ease. It even has settings that significantly reduce background noise. Aid Dehumidifier – These moisture-fighters can add a great deal of convenience to a hearing aid user’s life. There are tons of dehumidifiers out there to choose from, but if you’re looking for a cost-efficient, portable, and even rechargeable option, the Stay Dri is right up your ally. 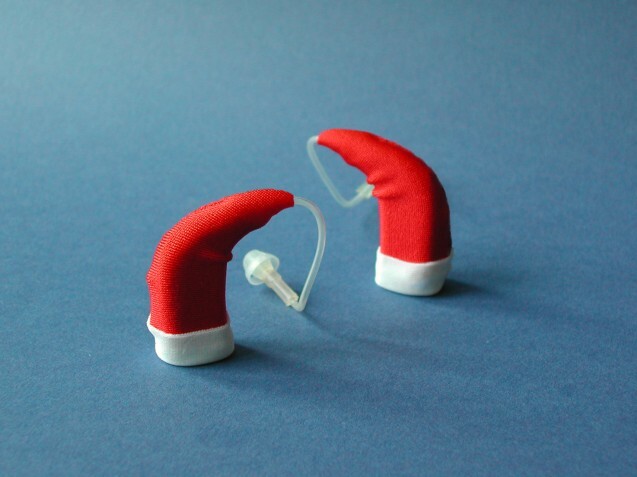 This gift is particularly helpful in that it helps prolong the lifespan of hearing aids. Hearing Aid Charms – While there are lots of fun accessories out there to liven up your hearing aids, Hayleigh’s Cherished Charms are something special. Developer Hayleigh might be young, but her handmade gifts have spread across the world, all thanks to her desire to make hearing aids shine. She was inspired to start her business after noticing several hearing-aid users trying to cover up and hide their devices. Determined to do away with the negative stigma and help others feel proud of their aids, she and her siblings began creating decorative add-on charms. There are charms to suit all occasions – including the holidays! And the best part? Ten percent of her proceeds contribute to research in the audiology field. Check out her Etsy page for tons of great charms that can glam up your hearing aids this season.